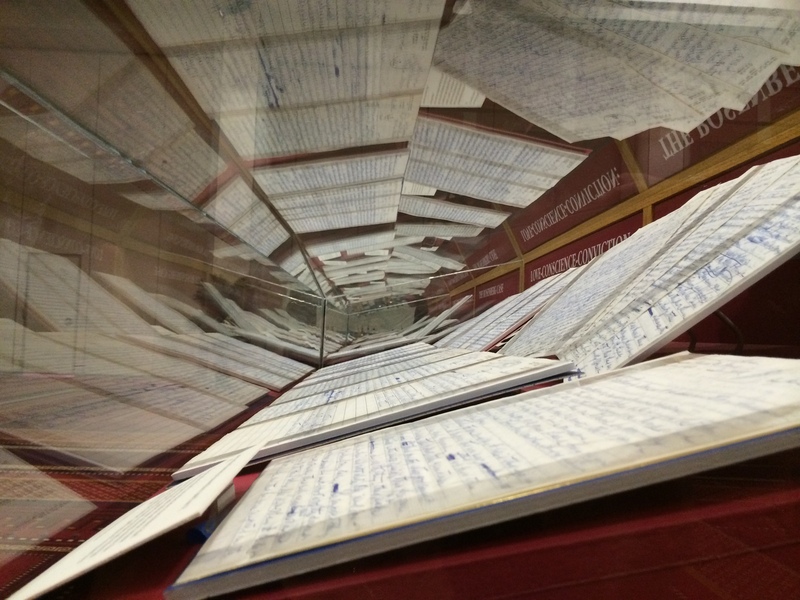 Last week I attended the opening of the new exhibit of my grandparents’ prison correspondence at Boston University’s Howard Gotlieb Archival Research Center. The event offered attendees a preview of the exhibit, which includes hundreds of letters Ethel and Julius wrote to each other, their attorney, my father and uncle, and other family members from their arrests in 1950 until just before their executions in June 1953. I received fascinating feedback from supporters across the country and around the world in response to my last blog post about attending the opening of the Rosenberg Archive at Boston University’s Howard Gotlieb Archival Research Center, and my dad and uncle’s reaction to David Greenglass’ death (available here).